Let me start by making you a BIG Promise. If we inspect your home and you’re not 100% satisfied with our inspection – you pay absolutely nothing for the inspection. After being in the Home Inspection Business for many years, I’ve seen many fly-by-night Home Inspectors come and go. I feel sorry for the home buyers that are victimized by these unscrupulous operators. So at Intercoastal Inspections, we offer a simple, no weasel words guarantee. Attend your Home Inspection and if for any reason you’re not satisfied with the “Quality” of the home inspection service, tell the inspector before you leave the property and we either make it right, or you don’t pay the home inspection fee! It's easy. We find more defects than our competition. The end result is that you save more money. Most contracts allow negotiations with the seller to make repairs or give you credit at closing. So the more defects our inspector finds the more money you save. We are not in the business of making up a list of non-existant issues, but if there is an issue, we will find it. We don't rush. This allows us time to do a thorough inspection of your new home, condo, or building. This also means we charge a little more than most of our competitors. You don't want a cheap inspection. A cheap inspection may be the most expensive thing you'll ever buy, it may cost you thousands of dollars down the road because of missed or overlooked defects. Cheap inspectors often know less and do less, which is one reason why they're cheap. 1. 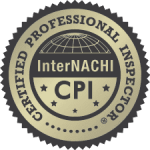 All Home Inspections will be performed by a CMI - Certified Master Inspector. 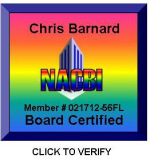 Make sure your inspector is a Certified Master Inspector. 4. Permit Report On Your Property (Provided by Buildfax) - You will be provided a copy of the report which will list all availabe digital permits on file at the local municipalities. 5. WDO/Termite Reports - FHA/VA Approved (provided by DL ) - Schedule your WDO inspection with us. We have no interest in selling you a treatment plan for your home. All you get is the most unbiased WDO inspection on the market. Better yet, we go in the attic and the crawlspace, unlike a lot of Pest Control companies. - Experience, Quality, Integrity, and Five Star Customer Service Make US the BEST! FIVE STAR PACKAGING PROVIDES THE ULTIMATE PEACE OF MIND AND VALUE FOR YOUR FAMILY, AND INVESTMENT! We want you to come along with us during the course of the home inspection in Port Orange and New Smyrna Beach, FL. Okay, if you’re a seasoned home buyer it may not be as important that you’re there the entire time. We know your schedule is very hectic so we work hard to accommodate you! Please call (386)868-8375 and one of our friendly staff members can find the right inspection time for you. In addition, you can use the Online Scheduler below. By using this online scheduler, you are truly scheduling an appointment with the information you are entering. When you select "Schedule This Inspection" at the end of the process, you will be confirming your inspection. This is not a Quote Calculator. CLICK HERE ----- TO SCHEDULE YOUR HOME INSPECTION NOW! If you need to schedule an inspection for the same day or next morning, please call our office at (386)868-8375 and speak with one of our Customer Care Coordinators. Why Should I Have My Home Certified Move In Ready?